In Amarino shield version 3.0, there are headers for 3 different bluetooth adapters. a. General Bluetooth Adapter – Cheapest adapter available at www.buildcircuit.net. RECOMMENDED ! b. BlueSMiRF– Bluetooth Mate Silver – More expensive adapter available on sparkfun.com. c. BlueSMiRF Gold – The most expensive adapter available on sparkfun.com. then, the baud rate of Bluetooth adapter should also be 57600. The default baud rate of BlueSMiRF module and general adapter is 9600. The shield works excellent with 9600. However, if you want to change the baud rate of BlueSMiRF module, here’s a tutorial. 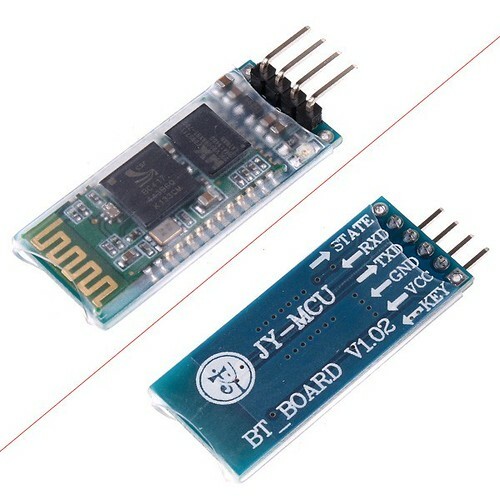 We don’t know if we can change the baud rate of general Bluetooth adapters with the process mentioned on this tutorial. You can try it. 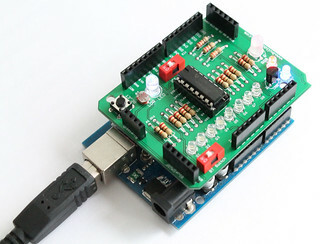 – This project has been tested with BlueSMiRF module as well as general Bluetooth adapter module and it works well. You can purchase this versatile Amarino shield at buildcircuit.net. The store is owned and operated by the team which operates buildcircuit.com.